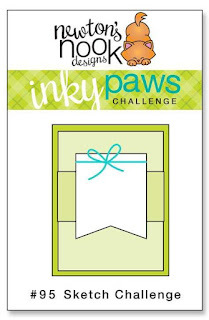 Time for a NEW Inky Paws Challenge! We have a such fun sketch for you to play with. for a while to figure out how to work with it. 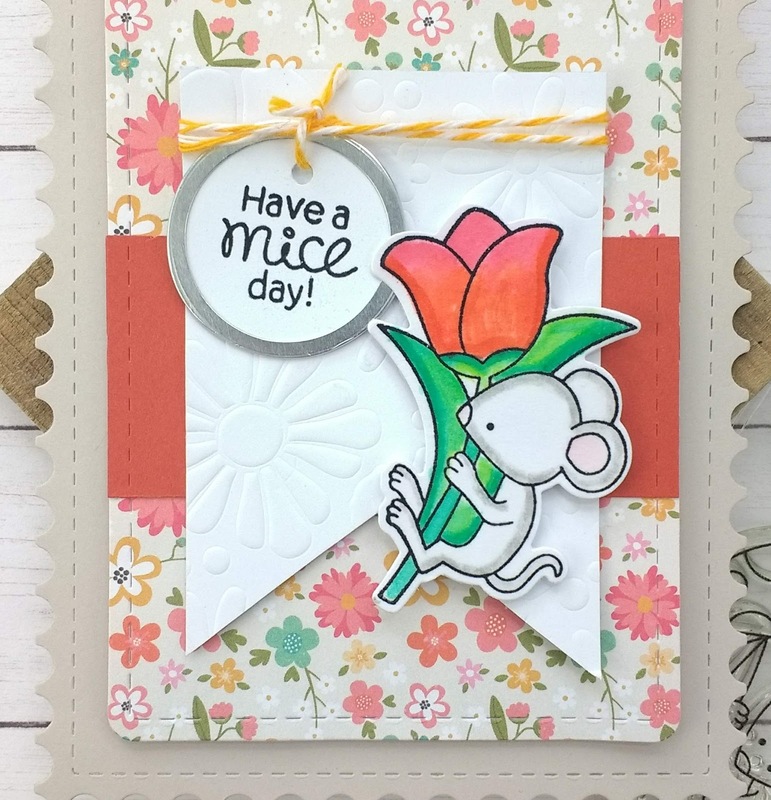 I stamped out and colorized the mouse from the Garden Mice Stamp Set. That is when the whole card came together. base my colors for this project on this flower. I went into the paper stash came out with this amazing patterned paper for the background. I also matched burnt orange and sand colored cardstock to go with the patterned paper. With the paper choices made, it was all about the assembly. Burnt orange cardstock became the across element behind the banner. The main element is piece of white cardstock that is hand cut into a banner. the flowers on the Bold Blooms Stencil. my embossing pad and was very happy with the results! For a final touch, I added twine and a tag with my sentiment to the top of the banner. I had a blast figuring out all the different elements of the card. 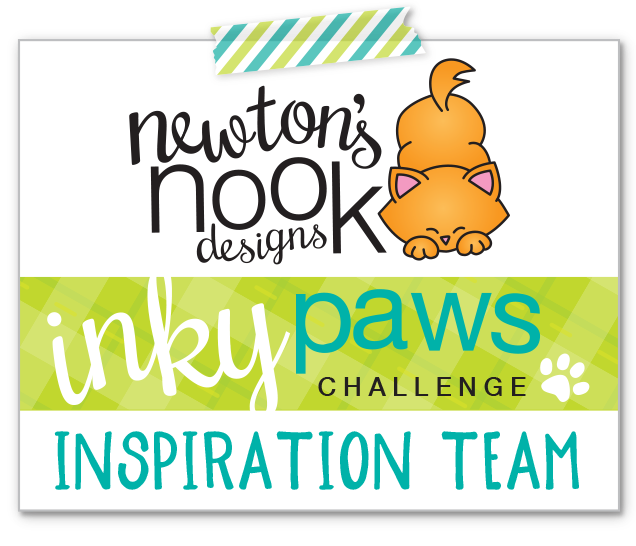 I am SUPER excited to see what everyone is going to create with this sketch. super cute! 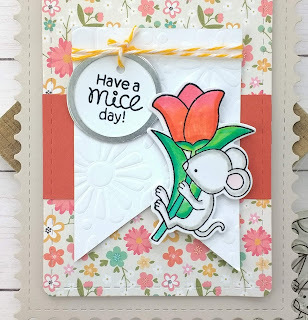 I love the embossing you did with the stencil and the mouse is colored beautifully!